Keston boilers offer a very unique flue system. No expensive flue kits are required, just standard 50mm MuPVC solvent weld waste pipe. This offers cost effective and flexible installations. The boiler can be positioned up to 27 metres away from the flue outlet. 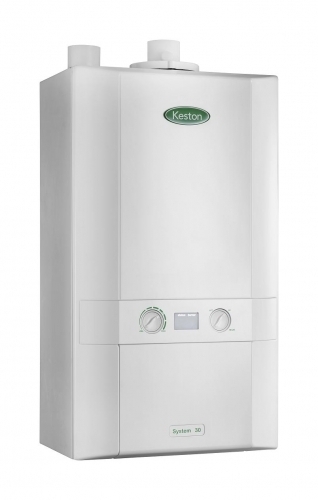 The Keston System is an unvented sealed system boiler, complete with built-in expansion vessel & pump. With a lightweight design, concealed connections at the base and no compartment ventilation required, the Keston System can be conveniently fitted out of sight into a standard kitchen cupboard.